A truly exquisite over-the-ear headphone featuring luxurious materials like Italian Saffiano leather and a durable forged aluminum headband. Specialized piston diaphragm drivers provide a clean and spacious sound like being in the studio with the recording artist. 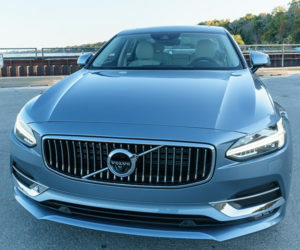 Volvo’s premiere sedan is a stunner, with dramatic, yet clean styling inside and out. Available with a 316hp turbo and supercharged engine, soft Nappa leather, aluminum and walnut trim, a cutting-edge tech, and Bowers & Wilkins audio. Full review on 95octane. 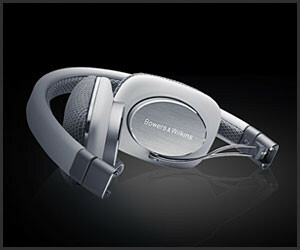 Bowers & Wilkins’ flagship headphones now have a Bluetooth variant that lasts up to 17h per charge. Enjoy the P7’s balanced output and wide delivery on a variety of devices. 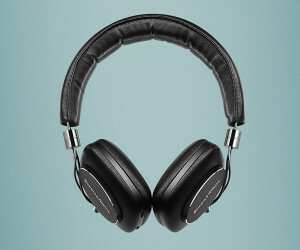 You really should use them with high-end setups as well to hear what they can do. (PG-13: Language) “So drunk power yeah, it’s a real thing.” A man’s alcoholism finally catches up to him. Adam Bowers’ dark comedy short fails to live up to its entrancing opening scenes, but it’s still worth a watch. 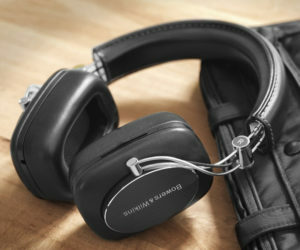 The Bluetooth version of Bowers & Wilkins’ beloved P5 on-ear headphones. The P5 Wireless supports AptX for high quality streaming. Its battery lasts up to 17h and it comes with a 3.5mm cable so you can still use it even if it’s drained. 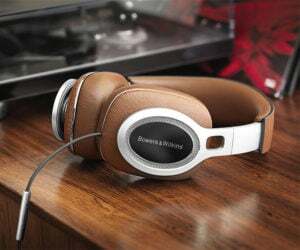 Bowers & Wilkins’ A7 speaker has two 1″ tweeters, two 3″ midrange drivers and a 6″ subwoofer, plus a DAC converter. 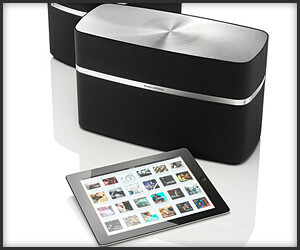 Designed for AirPlay, but also connects via Wi-Fi, Ethernet, USB and 3.5mm jack. Made of durable aluminum and rubber and featuring a specially designed acoustic fabric for the ear pads, Bowers & Wilkins P3 headphones provides mobile hi-fi audio at its best. 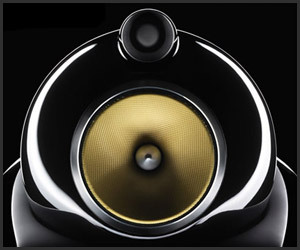 Available 2/2010, Bowers & Wilkins’ 800 Series Diamond loudspeakers are truly “hard”-core: they feature quad-magnet diamond dome tweeters that improve dynamic range. 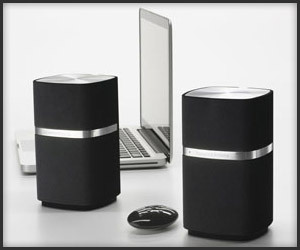 Bowers & Wilkins targets the desktop and laptop crowds with their MM-1 near field monitor speakers; each features two drivers, Nautilus tube-loaded tweeters, and USB/aux line-in. 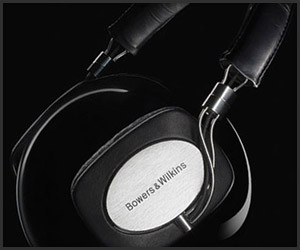 Known for their Zeppelins, Bowers & Wilkins’ P5 headphones are quite a bit lighter but still feature packed; they boast a closed back design, sheep leather earpads, and gold-plated plugs. 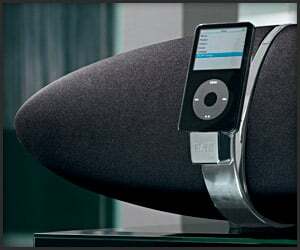 Bowers & Wilkins’ Zeppelin Mini is a smaller version of its blimpy big bro with 36 W of power and a pair of 3″ drivers; it also features a direct to digital USB port and rotatable docking arm. 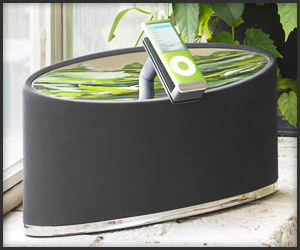 Bowers & Wilkins’ Zeppelin iPod Dock isn’t just an eye-catcher–its shape disperses sound efficiently, easily filling rooms. Bonus: shielded wiring makes this iPhone friendly.